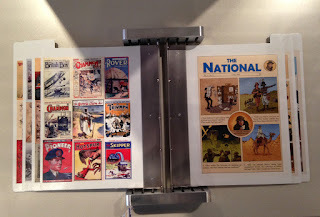 StrangeTimes: A trip to the National Army Museum in London. A trip to the National Army Museum in London. Well, I confess that I knew what I'd find on display in the National Army Museum in Chelsea, London. 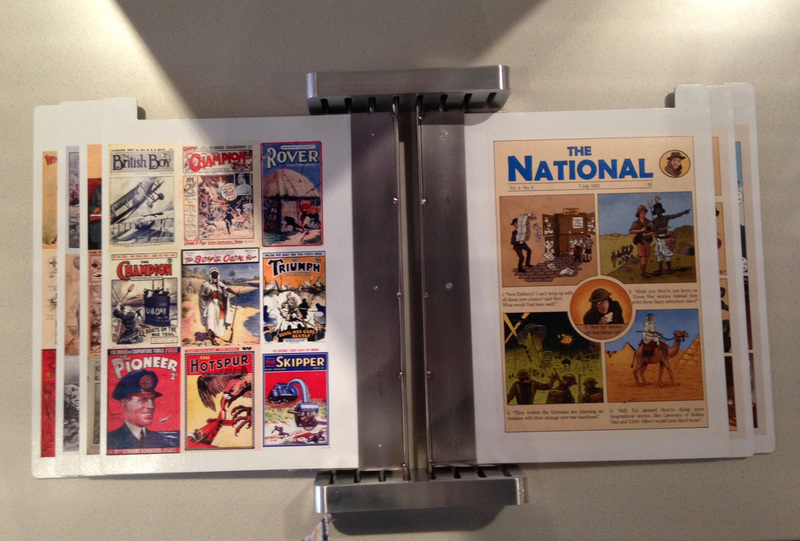 Accent UK co-founder Colin Mathieson had been keeping me up to date with progress on a project that he had taken on, producing a comic that reflected how 'War' had been represented in comic books through the years. The museum has had an amazing face lift. All the exhibits are informative and well spaced out. I wandered through a number of areas looking for Colin's comic, it wasn't in the War Paint exhibit but as my eye spied the 'Society and the Army' exhibit I knew that's where it would be. As I entered the area I could see the comic in pride of place. The pages of artwork had been printed into laminated pages that themselves were fixed securely to the table ... drat ... no way I was going to sneak off with it then. The colouring from Matt Soffe and the change in format page by page by Colin really gave the reader the sense of the passage of time, and true to any comic, there was a theme flowing across the pages that brought them all together in a poignant way. It was great to see Colin's work on display in a museum, as part of a large exhibition that will be there for many years to come. I really can't think of a writer/artist in comics today who would have produced a more thoughtful and accurate comic. As to the museum itself, wow, very impressive. I thoroughly recommend a day trip. I was also pleased by the friendliness of the staff, and they had Earl Grey Tea in the Cafe 😁. Stephenson's Robot Issue 4 is nearing completion. 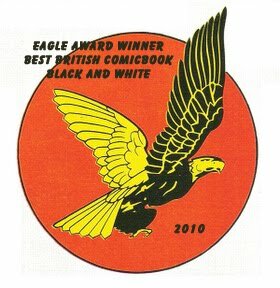 Accent UK got two pages in Comic Heroes. Comments on Strange Times Book 2.